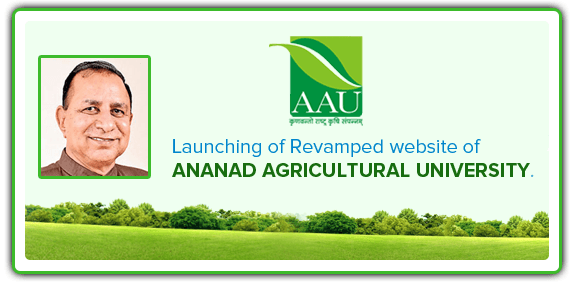 AAU's activities have expanded to span newer commodity sectors such as soil health card, bio-diesel, medicinal plants apart from the mandatory ones like rice, maize, tobacco, vegetable crops, fruit crops, forage crops, animal breeding, nutrition and dairy products etc. the core of AAU's operating philosophy however, continues to create the partnership between the rural people and committed academic as the basic for sustainable rural development. In pursuing its various programmes AAU's overall mission is to promote sustainable growth and economic independence in rural society. AAU aims to do this through education, research and extension education. Thus, AAU works towards the empowerment of the farmers. To impart relevant education to the students in agriculture and allied fields. To conduct research in order to improve the productivity of rural areas. To undertake basic research to make breakthrough in newer areas of knowledge. To provide opportunity to observe and understand the life of rural people. To enable the students to insulate the attitudes and develop skill relevant for grass-root work.